iZotope has a new delay out, and like many plug-in developers of late, they’re using a limited time free offer to rise above the din of Internet noise. 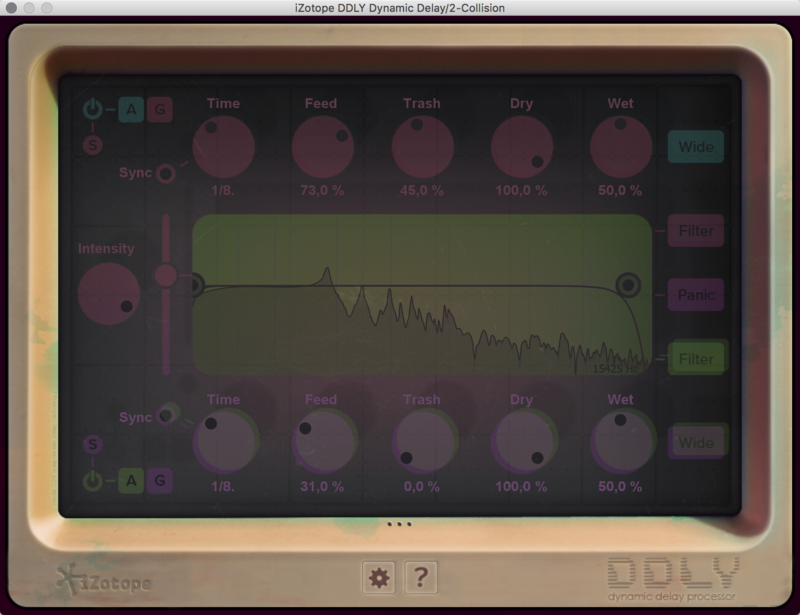 But while the new “DDLY Dynamic Delay” is free, it’s not something cut-down. On the contrary: you might fall in love with this delay right away. The basic idea is, DDLY is a “dynamic” delay — as in one that responds to dynamics. Now, of course, you could essentially create this with some clever routing of a dynamics processor to a delay, but integrating the two makes the process more intuitive. I know I was supposed to be doing something purposeful with the thing, but I immediately wanted to go wild with the delicious “Trash” and feedback settings. Overdriving the DDLY gives you some wonderful effects. iZotope are advertising the results as “cleaner” — but maybe that’s the point, actually, that it’s clean enough that extreme feedback settings remain usable. Before I sound entirely positive, there are a couple of peculiar things about DDLY. One, there’s a sort of translucent interface that make me feel like I’m going slightly blind. I’m not exactly sure what the intention was, but the UI looks like something out of a 90s first person shooter that was then displayed on a fading monitor. That’s too bad, as the visual feedback is quite usable. Two, you don’t get preset saving. iZotope do point you to the ability to use a PDF to scratch down settings. I’m not sure what the rationale was here, but on the other hand, it makes sense that you really shouldn’t think too much about saving settings, since the whole idea of the plug-in is meant to be responding to particular source material in different ways. All in all, it’s a beautiful plug-in, with that rare combination of subtle and extreme. So, it’s free – what’s the catch? You have to sign up with an email via iZotope. You don’t have to sign up for a newsletter, though (you can opt out of that when you register). I wound up “buying” the free download from Time & Space, which made me fill out a lot of contact info but also didn’t add any newsletters or ask for payment info. Then you get an email with a serial for authorization. You can use an iLok login optionally if you choose. The plug-in will go to a (still reasonable) US$49 price after the 30-day intro (mid-March 2016), with a 10-day demo.